Putting information in the header of a document in Word 2013 can be a little confusing the first few times you do it. The header is actually a separate part of the document, and has different rules than the body of the document where you type the majority of your content. 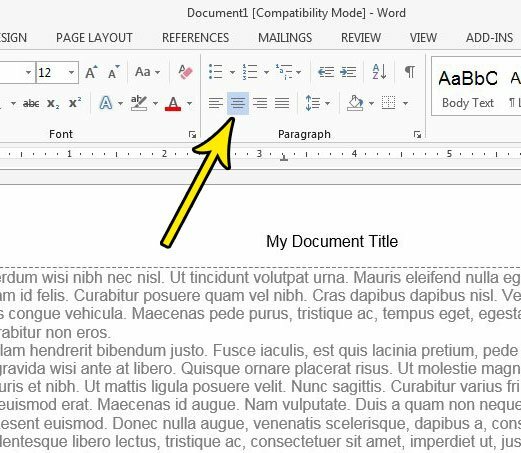 But the header in Word 2013 is actually very useful, particularly when dealing with information, such as a page title, that you would like to automatically include on each page. 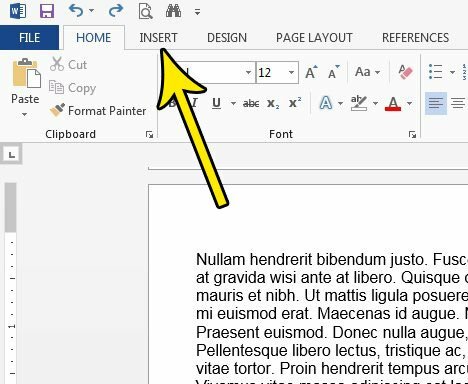 Our guide below will show you how to accomplish this in Word 2013. The steps in this article are going to show you how to put information in the header of your document. The information that you put here will be included on each page of your document. This article will focus primarily on making that information your document title, but it can also be something like your last name, or anything else that might be required when submitting a document to someone. Step 3: Click the Header button, then choose one of the listed options, based on the preferred style that you would like to use for your document title. Step 4: Delete the placeholder text, then type the document title. 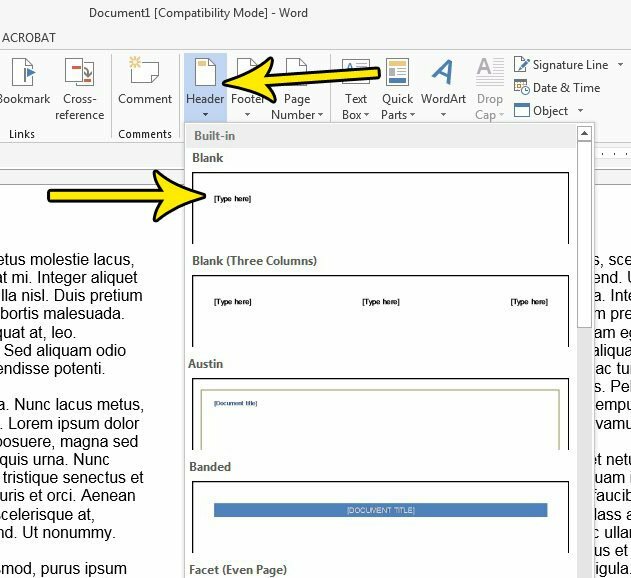 If you would like to modify the appearance of the document title in the header, then you can do so by using the formatting options on the Home tab. For example, in the image below, I have elected to center the document title. Once you have finished editing the title you can double-click inside the body of the document and continue editing as normal. 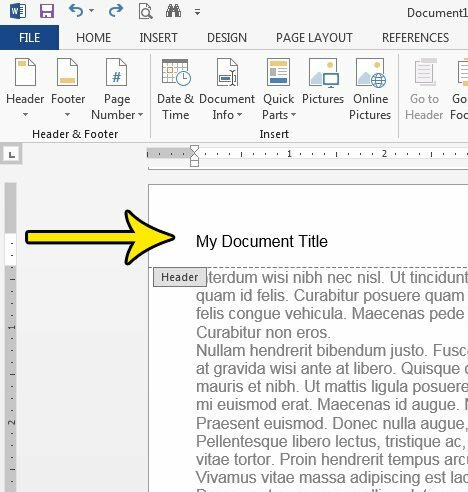 if you need to include a page title in your header, but don’t want to put it on the first page, then find out more about customizing the appearance of the header in Word 2013. You have some options as far as which pages the header appears on, which can also be handy if you are using page numbers.